In a post-911 landscape, the American blockbuster has become a place to reframe and relive the trauma of seeing the twin towers fall. Film after film depicts the rancid destruction of skyscrapers, but in a way that often felt part of pure entertainment spectacle with no people leaping to their deaths or bodies strewn in the streets. Earlier this year, Batman vs. Superman: Dawn of Justice explored the idea of dealing with the aftermath of skyscrapers being destroyed but framed it more as a motivation for Batman to beat up on Superman before turning around and teaming up with Superman. Marvel’s exploration of a similar idea in Captain America: Civil War has a lot more emphasis and maturity. For one, it creates a schism between the characters and is at least in part the reason that a line is drawn in the sand between Avengers. It all begins with a mission gone bad. When Captain America (Chris Evans) corners a villain Brock in the streets Lagos, Nigeria. Brock decides to suicide bomb himself. 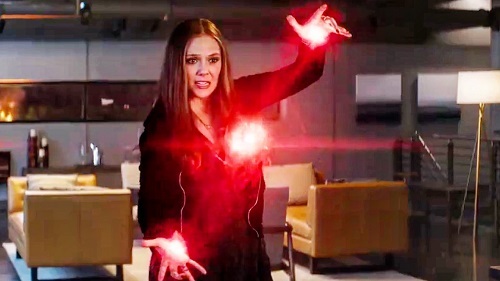 Scarlet Witch (Elizabeth Olsen) quickly casts Brock upwards, saving Captain America, but blowing out the side of a building by accident. The look of horror on her face after realizing what she’s done begins a journey into reevaluating how The Avengers should function. 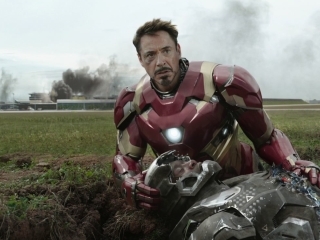 Tony Stark/Iron Man (Robert Downey Jr.) has a similar moment when he’s confronted by the mother of a child who died during one of The Avengers’ missions. With the boy on his conscious, he encourages his fellow Avengers to sign the Sokovia Accords, a document that would have an international council oversee the actions of The Avengers. He shows The Avengers footage of the aftermaths of their missions, the first time the Marvel Cinematic Universe recognizes that there was indeed death amid the acts of destruction onscreen. It’s an interesting moment of moral guilt in a film ostensibly about superhero spectacle. Captain America disagrees with Tony Stark, saying The Avengers shouldn’t be beholden to people with agendas. While it seems flimsy after the body-count finally catches up with the group, The Avengers and Captain America: Winter Soldier did portray S.H.I.E.L.D. as a manipulative force of overbearing control in response to terrorism. In a post-S.H.I.E.L.D. world, The Avengers are ostensibly only beholden to their own conscious. Where things go sideways is when a council in Vienna is held to ratify the accords. 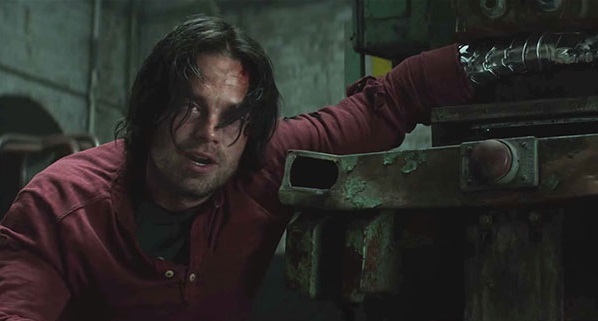 The proceedings are bombed and all evidence points to Bucky Barnes (Sebastian Stan), Captain America’s old buddy. A police force is sent to kill Bucky but Captain America intervenes and begins a whole mess of conflict between him and Stark, which leads to sides being drawn. While the film never directly addresses it, there does seem to be a conflict with how the characters relate to Bucky. Captain America wants to restrain Bucky and hear his side of the story while Stark simply wants him dealt with by others. Expanding this is perhaps Iron Man’s ties to the industrial military complex while Captain America is someone who’s gone against the government as his conscious dictates. And, of course, this leads to a violent conflict. 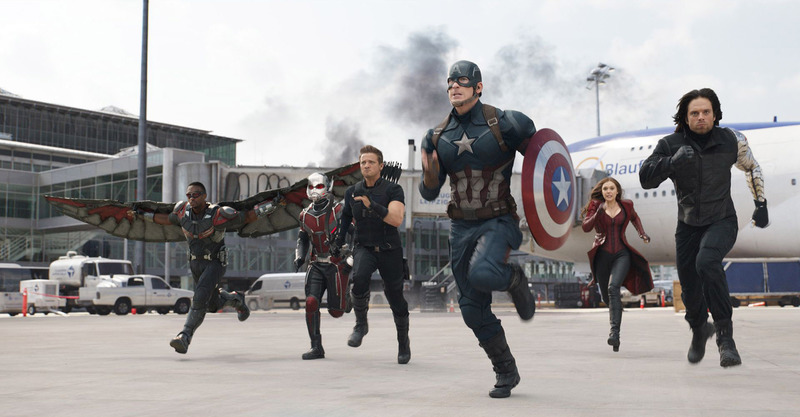 Where Civil War differs from the previous films is how it reframes violence in safe spaces. 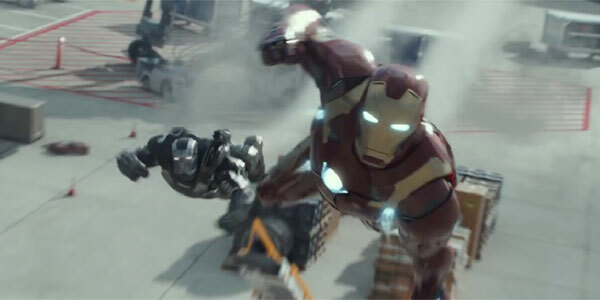 Before the major conflict happens, Tony Stark evacuates the area, leaving the heroes to duke it out with as much wanton destruction without worrying about collateral damage. Of course, this brings up the issue of property damage. Vehicles are flung, a plane is torn apart, and a tower is brought crumbling down. It makes one wonder who is going to pay for the aftermath of the mayhem. Maybe Infinity War will open with Tony Stark going bankrupt from paying for all the damages. It also makes one wonder whether or not the superheros stick around to clean up their mess of if they just leave blue collar workers to do the dirty work. While still indulging in the spectacle of the superhero movie, Captain America: Civil War reframes its violence as something that has real consequences. This gives the story a weight and gravitas that up to this point has been missing in the films. Alongside Batman vs. Superman, Civil War is a step forward for the superhero film, exploring how giving violence consequences can create for a more dramatic and human story.